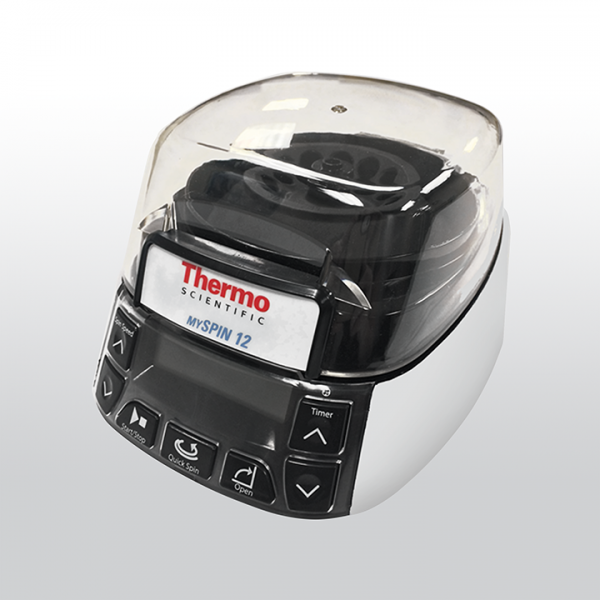 Product information "mySPIN 12 Mini Centrifuge"
The Thermo Scientific mySPIN 12 mini centrifuge is designed to give you maximum speed and flexibility in a minimized footprint. Its compact, ergonomic design fits on any workstation and is comfortable and easy for anyone to operate. Safety features help ensure it will not operate when the lid is open, a rotor is jammed, or the unit is out of balance. Ideal for most protocols requiring fast spins (12,500rpm / 9,800 xg), and appropriate for PCR, microfilter cell separation, and HPLC protocols. Related links to "mySPIN 12 Mini Centrifuge"